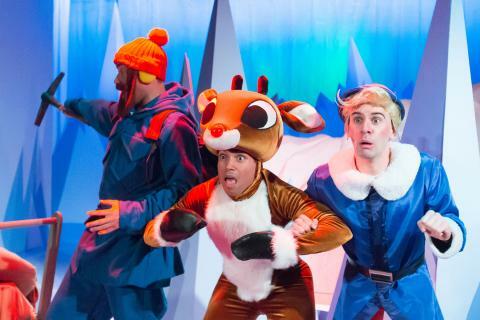 Two years ago, one of my favorite theaters in Kansas City - The Coterie - put on a joyous holiday production of Rudolph the Red-Nosed Reindeer: The Musical. I saw it back then (read my review here) and was so excited to see it return to the Coterie stage for this holiday season as well. My kids enjoyed the show last time, but weren't really old enough to remember it after the fact. This time around? I don't think they will soon forget how magical the production was to watch! 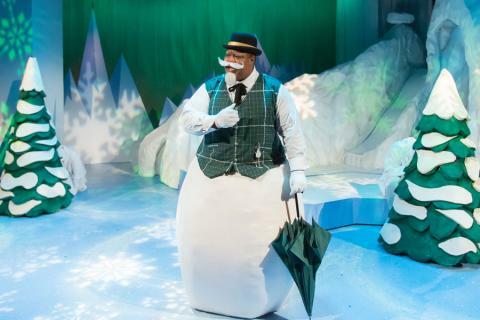 Ron Lackey as Sam the Snowman in Rudolph the Red-Nosed Reindeer: The Musical. Photo by J. Robert Schraeder. 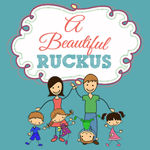 Rudolph the Red-Nosed Reindeer ® The Rudolph Co., L.P.
All elements under license to Character Arts, LLC. All rights reserved. It's hard work bringing iconic characters to life, but the design and directing team at the Coterie has again done a spectacular job. It felt like we could have been watching the classic cartoon special! Reindeer ® The Rudolph Co., L.P. All elements under license to Character Arts, LLC. My four year old daughter was a little nervous going into the show because she's not a big fan of the Abominable Snow Monster in the TV special. 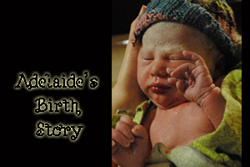 Happily, she made it through the production without any big complaints and said after "he wasn't as scary as I thought!" Kudos to the Coterie for making an impressive looking villain come to life onstage with staging that prevented the youngest audience members from being terrified! Reindeer: The Musical. Photo by J. Robert Schraeder. 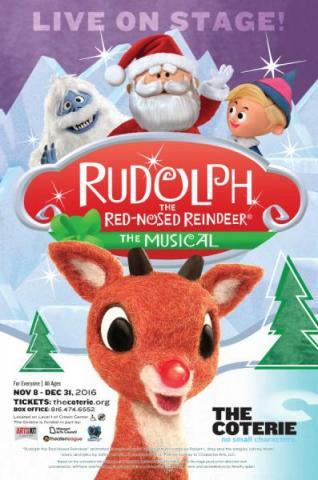 Rudolph the Red-Nosed Reindeer ® The Rudolph Co., L.P.
All elements under license to Character Arts, LLC. Even if it's been a few years since you've seen the original on TV, you will still be able to appreciate the very authentic characters portrayed on the stage this winter. The cast is strong all around, with each member completely immersing themselves in their role and making the most of it. The kids in the audience were all in stitches over the Boss Elf, Hermey, Yukon Cornelius, and of course, Rudolph himself. I wish we could have seen it several times! The Rudolph Co., L.P. All elements under license to Character Arts, LLC. All rights reserved. 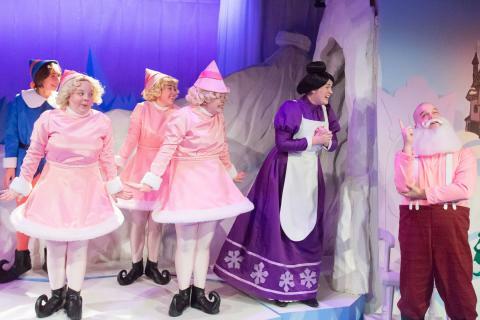 With a 60-minute runtime, this show is the perfect introduction to theater for young kids - or just a delightful part of a day's adventure at Crown Center. I am so excited to live in Kansas City, where we have excellent children's theater in our own backyard. 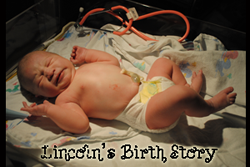 Put this entertaining show - and future Coterie productions - on your must-see list! 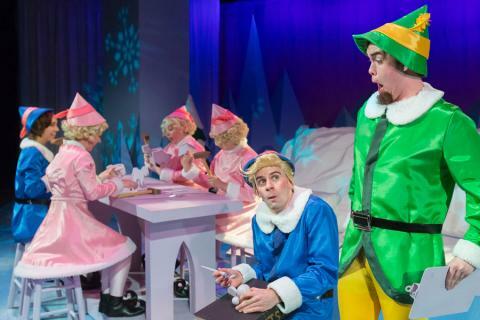 (as Hermey) in Rudolph the Red-Nosed Reindeer: The Musical. Photo by J. Robert Schraeder. Character Arts, LLC. All rights reserved. If you're in Kansas City, you don't want to miss this heartwarming holiday production! 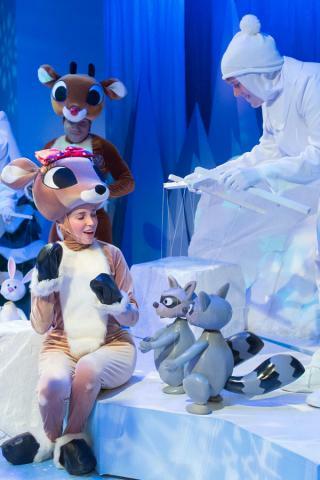 Rudolph the Red-Nosed Reindeer plays now through December 31at the Coterie. Contact The Coterie for more info!